Star Tales grew out of my skywatching guides for amateur astronomers. As I came to describe each constellation, I found myself wondering about its origin and the way in which ancient people had personified it in mythology. Astronomy books did not contain satisfactory answers. They either gave no mythology at all, or they recounted stories that, I later discovered, were not true to the Greek and Roman originals. I decided to write my own book on the mythology of the constellations. The result was published in 1988. 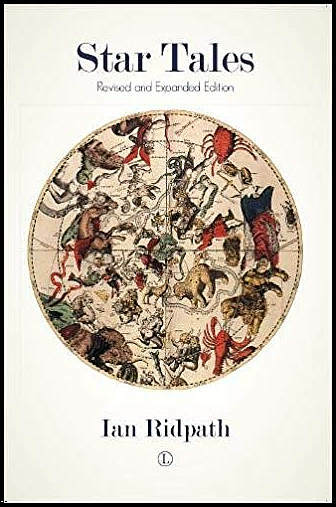 A revised and expanded edition appeared in 2018 by when it had grown into a comprehensive biography of the constellations from Ptolemaic times to the present: not just the 88 officially recognized figures which are described in Chapter Three, but also two dozen others that fell by the wayside, featured in Chapter Four. This web version contains additional information not found in the books, most notably details on how Chinese astronomers visualized the stars, a subject still poorly understood in the west. Further updates and improvements to these pages are made from time to time.